Receipts, tissues, wipes, marbles, one sock, a mystery toy from a Kinder Surprise egg and other assorted bits of stuff were mingling amongst the spare change and raisin box escapees. 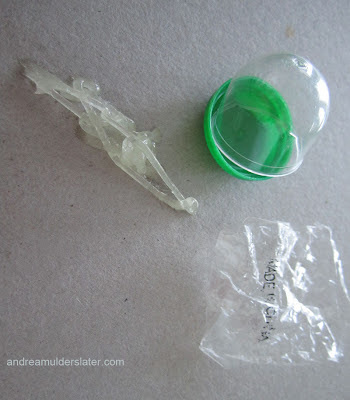 Then, I discovered a small plastic bubble - a forgotten gumball machine acquisition, the contents of which had remained unknown. Until today. I’ll admit it. I regularly fall prey to the lure of gumball machine booty and I’ve passed my penchant on to my 3-year-old daughter. I blame my mother. Time and again she and I have dropped quarters into the colorful contraptions at the supermarket in the hopes of obtaining a hacky sack, a glow ring or a tiny porcelain mug emblazoned with the face of an ex-President. Instead, we typically end up with plastic mummies, temporary tattoos or little alien figurines playing soccer - all of which delight my daughter to no end. 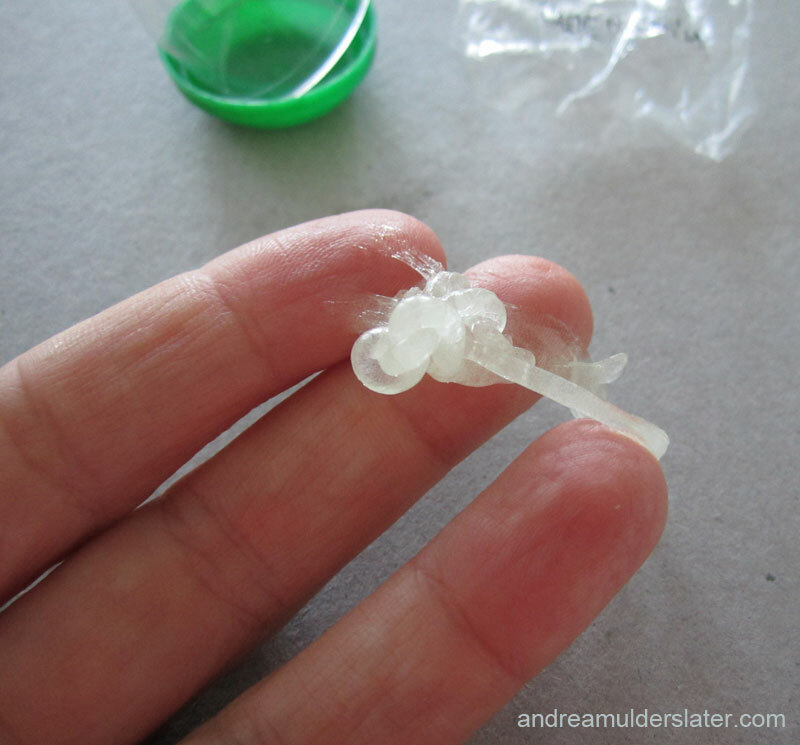 However, inside the forgotten plastic bubble lodged at the bottom of my purse, was something entirely different – unlike anything I had ever seen come out of a gumball machine before. Now, my memory may not be as clear as it was before childbirth, but I’m fairly certain that I would never knowingly put my money into a machine selling snot. Which begs the question. Why sell fake snot to kids? Are gumball machine company execs unaware of the fact that children produce enough of their own snot to fill small wading pools? Seriously. My kid is rarely sick and still she accumulates the stuff. I touched it. I don't know why. As I was holding the goo, I got to thinking. What if it isn’t fake? What if this is real, honest-to-goodness snot? And more importantly, why the eff am I rolling it around in my fingers?!!?? So I stuffed the mess back into the little bubble with the green bottom and contemplated what I would do if I were an investigator on a crime drama television show (yeah, I've been watching Monk on Netflix again). I would say, "Send this to the lab for analysis Randy." And Randy would come back with a file full of details I really wouldn't care to know about. Also, a coffee. With cream. I have a pretty active imagination, after all. But alas... the reality is, I'm just a mom with a heavy purse and a pocket full of snot that I purchased for twenty-five cents.